As you may have heard, we removed the waste bin in our bathroom in favour of our “central kitchen recycling system”. The idea being that if we only have one area to deal with our trash, we’re more likely to separate it properly and less likely to have little bins all over the house that then need to be sorted (or ignored as the case used to be). 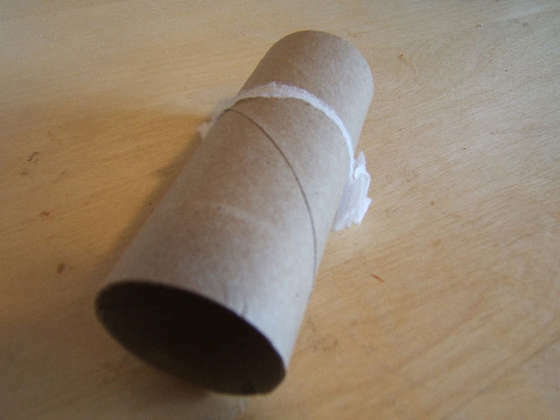 Case in point: toilet paper tubes. They’re cardboard and recyclable, but previously they always seemed to end up in our bathroom waste bin because we (myself included) were too lazy to actually walk 10 steps to the kitchen recycling bin. Now that we have no option in the bathroom, all paper products, even little ones, get to their proper recycling areas. 2) Dental Hygine. So, we’ve been making our own toothpaste. I checked with my aunt who is a hygienist, and she said it’s a-ok, but you have to add flouride if you’re developing new cavities or have soft teeth (which we don’t). I’ve been using this recipe. It actually makes your teeth feel like they were just polished like at the dentist, but it’s not as over-all fresh feeling as regular toothpaste. The peppermint is a must have addition. 3) The Diva. I know the guys don’t care whatsoever, and every green-type blog I’ve come across promotes the diva cup to no end, but seriously, it is the best way to be waste free in the bathroom. Plus you only have to change it every 12 hours. Depending on which calculations you use, the average woman uses between 9,000 and 16,800 (quite the range, I know) tampons/pads in her lifetime. That’s a lot of trash. Buying the Diva Cup was the last thing I bought before we started the Clean Bin Project, and it’s the primary reason why we don’t need a garbage can in the bathroom any more. 5) The Bottles Under the Sink. One of the main reasons we decided “we have too much stuff” in the first place was the enormous collection of bottles under the bathroom sink. We’ve got lotions and bubbles, shampoos and gels, powders and rinses, peels and scrubs. . . I could go on, but you get the idea. We have a lot of “product”. As part of the project, we are allowed to buy basic personal hygiene products, BUT we must first use up what we have. Bear with me as I am suffering through a year of the dredges of discarded and expired shampoos. Seriously though, we have done quite well. Neither Grant nor I have bought anything hygiene related in the past 3 months, and Rhyannon only purchased a giant bottle of shampoo. When we final run out, I’m planning of getting a shampoo bar like these ones at lush. 6) Deodorant. Grant uses (use a mystic tone of voice when you read this) “the crystal” which, although packaged in hard plastic, lasts for frikin’ ever. Seriously, we’ve had it for years. Doesn’t do the trick for me, but when I run out of my regular deoderant, I’ve decided to give one of the many package-free options a try like a deoderant bar from lush or (eek) a homemade baking soda concoction. Will let you know how that one goes. coated with beeswax and packaged in cardboard. Seems like you can have any but not all of these attributes in a floss. Up to this point, I’ve been putting my (polyester or some such) dental floss in the garbage bin, but I recently ran out, and am now dentalflossless. I’ll have to resume my search for biodegradable floss immediately. 6) TP. Ok now, I have not reached the extreme that others have and stopped using TP or started using spray bottles or washable cloth wipes. For now, we’re just buying recycled toilet paper and using in moderation. Who knows, maybe we’ll become more extreme over time. So, that’s about it so far. If you have suggestions on ways we can improve, or want to share what you have been doing to cut down on bathroom waste, let us know. We can always learn more! The Diva Cup is awesome and has greatly reduced the waste in our bathroom. I have been thinking about this issue as of late. Our bathroom bin always seems to be overflowing. With TP no less! Ugh. I don’t know what my husband is doing with it, but the mountain in the bin is driving me nuts. I am thinking about adding a bin – one for waste, one for compost. We should be able to compost the TP he is throwing in the bin, along with empty rolls and Qtips, right? Now that I am thinking about, one bin for compost only is probably more appropriate. The only “waste” that gets thrown in is random empty toothpaste packaging and floss (we haven’t switched yet either). Like you, I think we can handle walking that to the kitchen. Yes, we have been composting out tissues that would’ve otherwise gone in the waste basket. We have also been composing our q-tips (we get ones with paper sticks not plastic), but I do admit we put them in our “special” compost with our fingernails and hair trimmings, not in the great black compost out back. Something about hair and q-tips mixing with something I am going to grow my veggies in weirds me out. plus, I feel like they take longer to biodegrade than banana peels. Love to hear from another Diva cup user as well! question: is it bad to put tissue and paper towel (horror i know) in the compost is its (presumably) bleached? and what do you do with your “special compost” in the end? ps. i met a guy who uses his composting toilet to make manure for his vegetable garden! Some very interesting bathroom ideas. I want to check out the homemade toothpaste and love the ideas for reducing all those products under the sink. 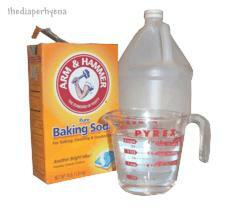 I too have started using soda and borax is wonderful too. Just heard about you guys this week when my new MEC catalogue arrived in the mail. Reading all your blogs + enjoying the tips. I wanted to give you some feedback on the Diva cup (which is manufactured about an hour’s drive from where I live). I did a backpacking trip last year and packed my Diva cup along just in case… by rights, I wouldn’t need it until I returned from my trek; but Mother nature decided to throw me off-kilter + I was so grateful I had the foresight to throw it in with my gear… It was convenient + comfortable even with long difficult days of scrambling up rocky climbs with a 50lb pack on. I will never go in the wilderness without it. The amazing thing about the diva cup is that I’ve never heard anyone who has one speak negatively about it. I’ve also never seen an advertisement for it. Seems like quality products get around through word of mouth. I’m commenting on old posts but I want to do my own attempts at (near) zero waste as well. Dental floss was one of things I wondered about. Yes silk floss is compostable, but at the same time its manufacture is cruel to the silkworms – the worm is killed to get the silk from its cocoon. So I think its out as an option. Did you end up finding any other alternatives? Seriously! I didn’t know that. Now I’m thinking twice about my silk selection. I might switch back to regular floss in a paper carton. (it’ll have to wait a year or so though because I don’t go through floss very fast). Thanks for the info. Try making ToothSoap. 1 part Dr. Bronner’s peppermint or whatever flavour you want and 2 parts water in a dropper bottle, 2 drops should do you, has definite hint of soap flavour, but makes my teeth feel incredibly clean and shiny. I just got an idea after buying two big bags of cotton swabs. They looked kinds like squares of prefold diapers, which I use for household cleaning. (By the way, prefold cloth diapers are excellent for absorbing liquids out of carpets.) So, when the cotton squares are gone, I’m making my own reusable ones.